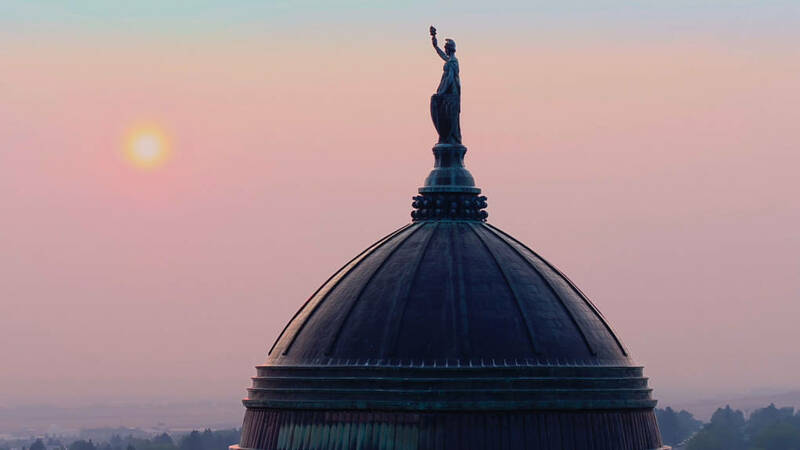 Montana's State Capitol building at dawn, from DARK MONEY, a PBS Distribution release. We’re giving away five Run of Engagement passes to see the acclaimed documentary at Landmark’s Opera Plaza and Shattuck Cinemas from July 30–August 2. From all entries, we’ll randomly select five winners for a pair of tickets. Deadline to enter is Wednesday, July 25 at 11:59 pm. Winners will be notified by e-mail on Thursday morning, and tickets will be sent to you by email. You must be a California resident and 18 years or older to participate. Employees of KQED are not eligible to enter. Limit one per person. The Run of Engagement Pass valid Monday–Thursday during the run of engagement from July 30–August 2. Pass will be honored based on seating availability and on a first-come, first-served basis. Pass is good for two (2) admissions and cannot me used for any other movies or theaters. It is not redeemable for cash, concessions or substituted passes.